Here are some links to some of the latest info on volcano happenings. Just thought I'd pop this into the thread, interesting read & will be fascinating as they analyse them further. It is interesting. The undersea mounds (volcanic) can be made out on satellite images. I reckon these sea mounds are not too distant cousins of some of the volcanic provinces which run up/down the eastern regions of the Australian mainland. These are the sorts of reports (discoveries of undersea volcanoes), which I mentioned quite a while ago will start to become news and noted. I will be interested in seeing what other info the scientists present in the future about Australia's volcanic regions. An increase in technology is revealing more and more of the hidden areas of the planet. Wow think of all the heat from many active submerged vents spewing into the briny depths. Yeh, I have often wondered what the heat produced from 'thermals' in the oceans does or contributes to warm pools traveling around the oceans, and how it may affect localized or event distant climate.....? Yes it is all very interesting. Volcanoes can cause climactic changes. Other natural occurrences also can cause such changes. The number of volcanoes on land and under-sea must be having some sort of effect on parts of the Earth's climate...? I'll try and catch up with EQ stuff later. Hi all, Raung volcano erupting still, more flights cancelled. Cleveland volcano Alaska showing some signs of tremors ! Hi all, undersea volcano near Grenada "kick em jenny" is increasing in activity .Alert level raised to orange . 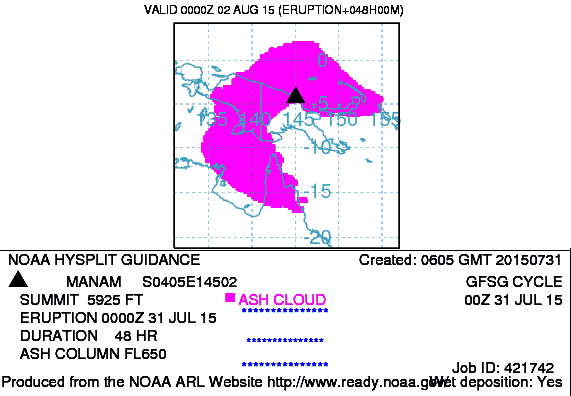 There's been a big volcanic eruption of Mt Manam in PNG a few hours ago with the ash cloud up to 65,000 feet (20km) high. There's already an aviation colour code red (the highest) on it. Wouldn't be surprised if it caused some disruptions and/or diversions to flights whose routes lie near the area and maybe some spectacular sunsets in the region. It looks like Cotopaxi in Ecuador could be gearing up for a major eruption. The government there has declared a state of emergency for the whole country. If this does go bang and the aerosols ejected into the stratosphere are sulphur rich this eruption has the potential to have global impact on temps, given how close to equator the beast is. This could bring more snow to our Alps or is too late for impact. What do others think? Here's a link to a live webcam from the Port of Sakurajima, Japan, which is focused on the volcano. Hi all, Cotopaxi is a worry, being one of the largest volcano's around & has had a very long repose . 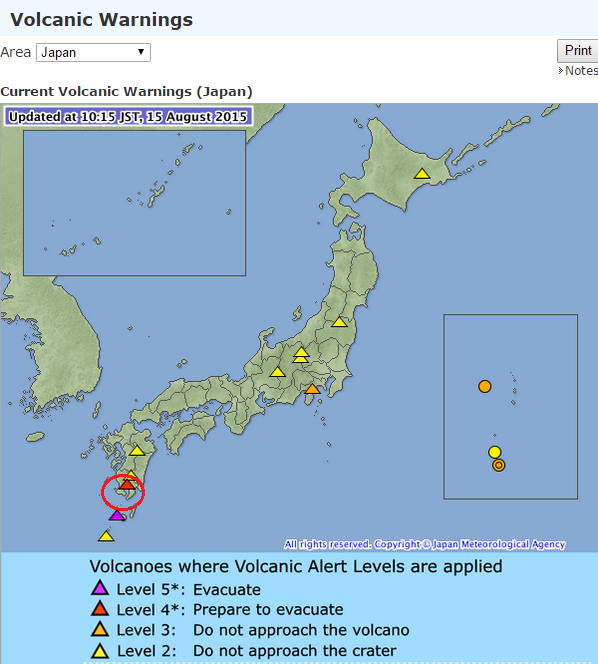 Has a history of VEI3 -VEI5 eruptions. Seems to be a fair bit of activity around the world atm ! 6 registered (Sandbank, mysteriousbrad, Sidney, Adaminaby Angler, Homer, Werner K), 62 Guests and 3 Spiders online.